Select a Page:About UsWhere are we? 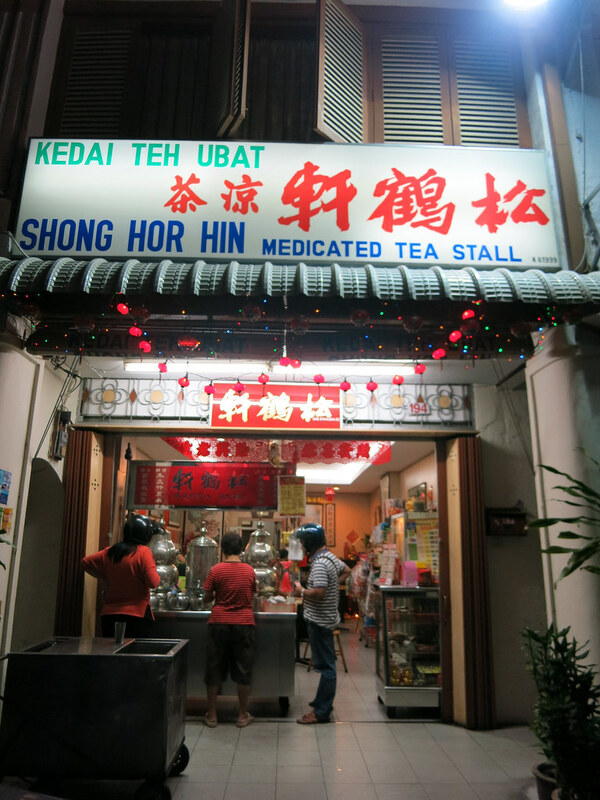 This may sound crazy, but we almost skipped Penang, the food capital of Malaysia! Sometimes our travel plans make no sense. There are so many places to visit that we get overwhelmed and end up sticking with the more popular destinations. This was the mistake we made when we left Thailand and flew straight to Kuala Lumpur. We were in the southern part of Thailand already and could’ve entered Malaysia by train, hitting up Penang first. Instead, we flew directly to KL and plunked ourselves smack dab in the middle of a loud, polluted, and way-too-busy city. To escape the insanity of the Islamic New Year in KL, we headed towards the Cameron Highlands and if you read my post (you best have read my post!) you’d know it wasn’t the peaceful, quiet haven that we were seeking. After paying higher prices for crappier amenities and dealing with too many crowds we were ready to leave Malaysia altogether. The bread man. It’s like the ice cream truck in the US, but with bread and spread. But, we decided that our bellies would be very disappointed with us if we didn’t check out Penang. It didn’t hurt that its airport was the closest and cheapest option to our first destination in Indonesia. 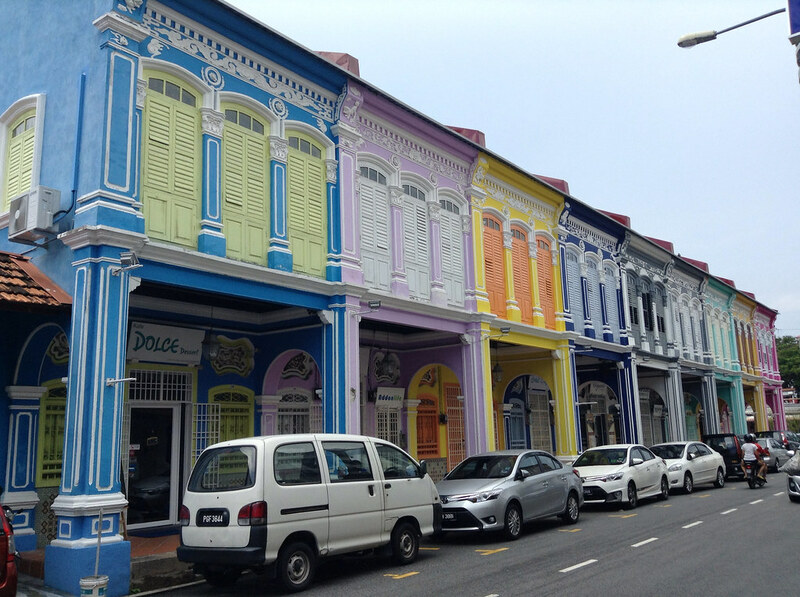 Our decision to go to Penang was the best choice we made during our entire Malaysia trip. 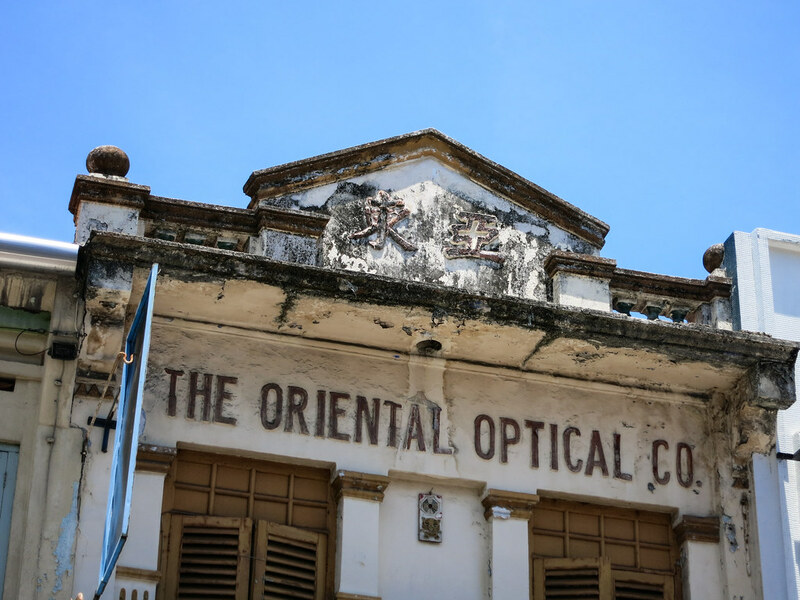 Besides the fascinating historical architecture in the UNESCO-preserved Georgetown district, the impressive street art, and the exceptionally friendly people, Penang absolutely lived up to our expectations for excellent food. 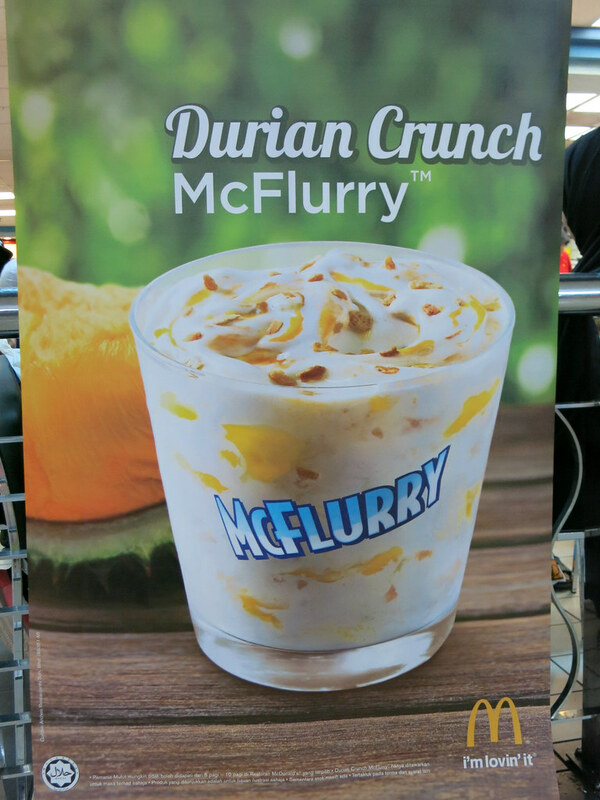 Even Mcdonald’s serves durian-flavored food. I didn’t try this so I can’t tell you if it’s good. 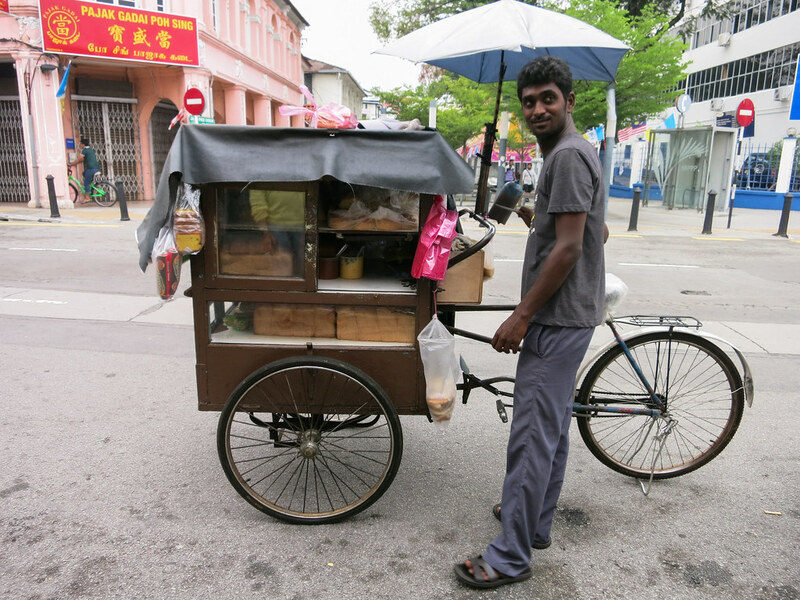 If you have any doubt about the great food that Penang has to offer, just ask a local. They will wax poetic about their city’s incomparable dishes and insist that the Penang version is unlike the ones you’ve had anywhere else in Malaysia. We had the good luck of talking to a couple of the locals during our stay because the communal eating style makes it quite easy to strike up conversation with unexpected dining companions. 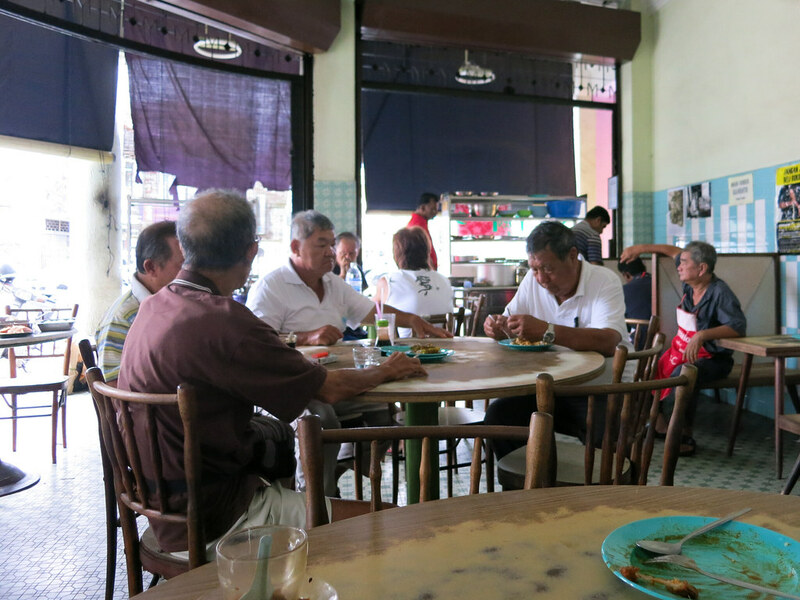 The first person we chatted with was an older man who left Penang to go to New Zealand when he was younger and after spending a year there he realized that he desperately missed the food and lifestyle in Penang so he came back. He also told us that an old acquaintance of his owns a successful Malaysian restaurant in NYC, but he doesn’t know the name. That was very helpful of him! It’s not hard to make friends when you sit at these round, communal tables for a meal. 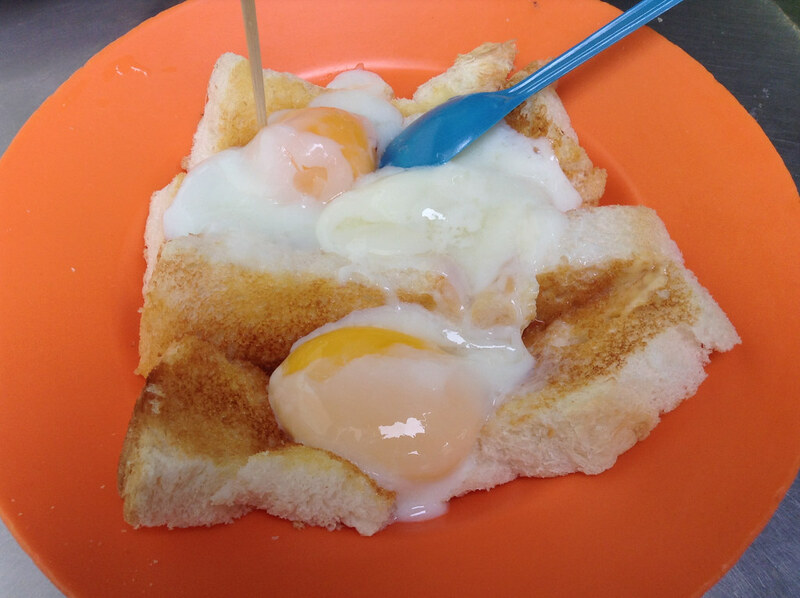 Another guy we met was much younger and moments after asking him about a tofu dessert that he was eating he began to spew a whole list of food in Penang that we must try. He offered to take us to a local food night market, but we already had dinner and dessert so we politely declined. (We also have a rule of not getting into cars with strangers at night. Unless they have candy.) His passion for popular local dishes, however, motivated us to eat a lot more over the course of our stay. That’s a lie. We don’t need any encouragement to eat, but it’s always nice to hear a local get excited about his city’s food. I don’t know if these teas are really medicated or if they’re just packed with enough sugar to make you feel “better” for few hours. A tasty almond tofu dessert. 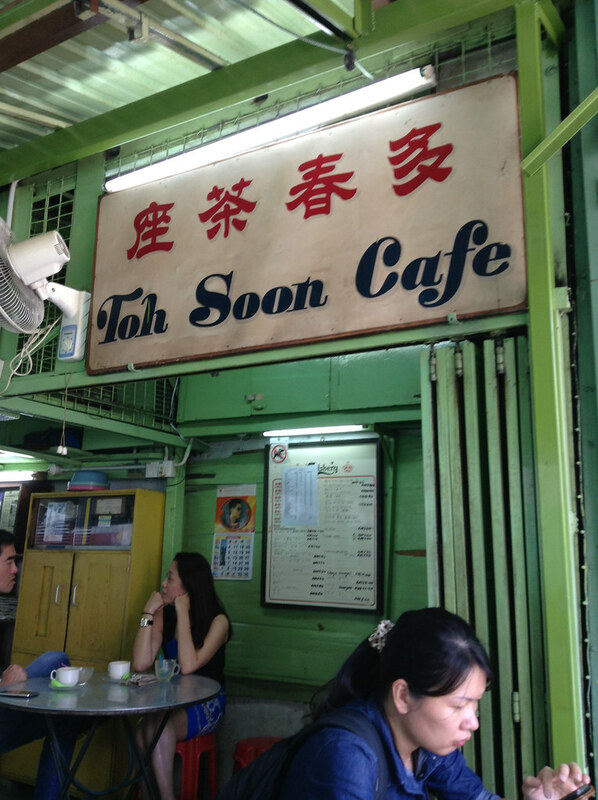 My favorite mealtime in Penang was breakfast. We stumbled upon this traditional coffee shop set up in an alley near our hotel where we met a friendly lesbian couple (we are everywhere!) who invited us to sit with them. They helped us order amazing hot coffee, tasty nasi lemak wrapped in brown paper, and my new favorite breakfast dish: soft-boiled egg on thick-cut Hainan toast with soy sauce and white pepper. I absolutely love it when I find a dish that is so simple yet so perfect and the best part is that I can easily replicate it at home. And, the coffee is the best we’ve had since we had to leave our beloved Vietnamese iced coffees behind. My favorite breakfast place and it was only two minutes from our hotel. Lucky me! Lucky me! 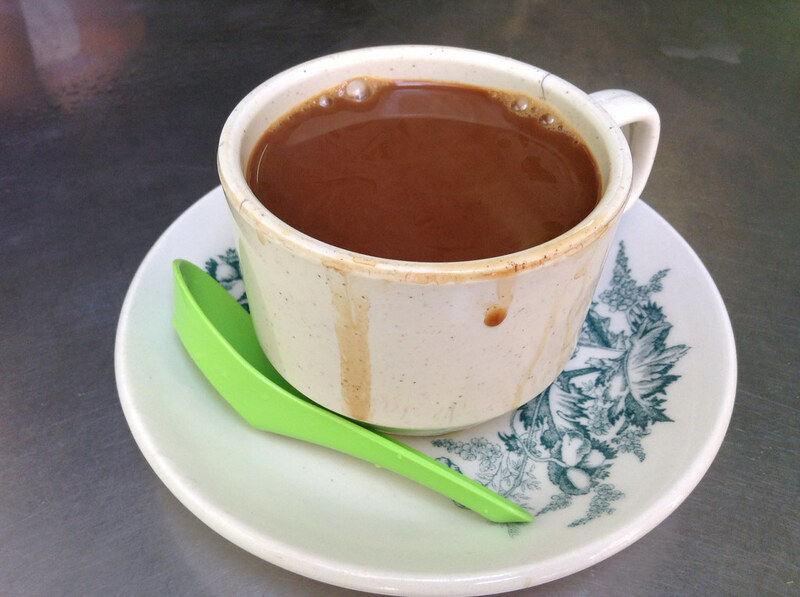 Malaysian kopi is so thick and rich that you need a soup spoon to drink it. 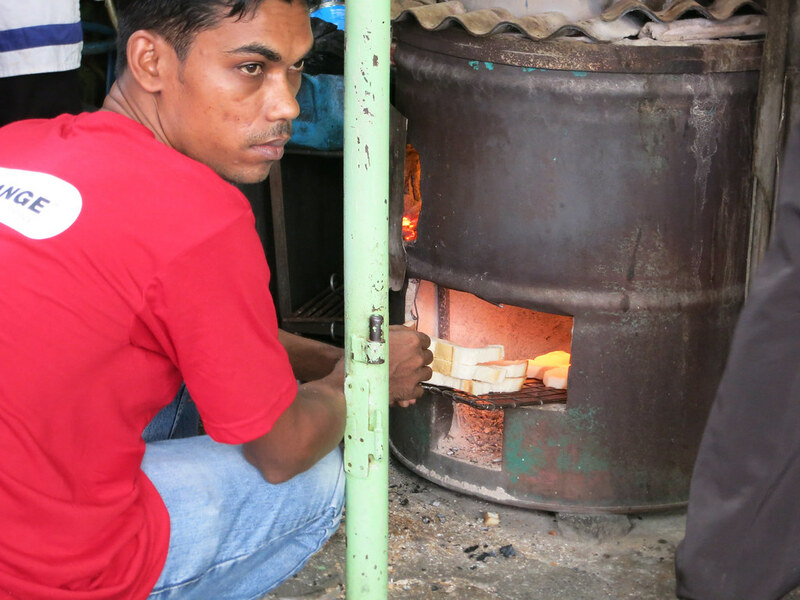 At Toh Soon they toast the thick-cut Hainan bread over an open fire. It’s perfect. So simple, yet so perfect. 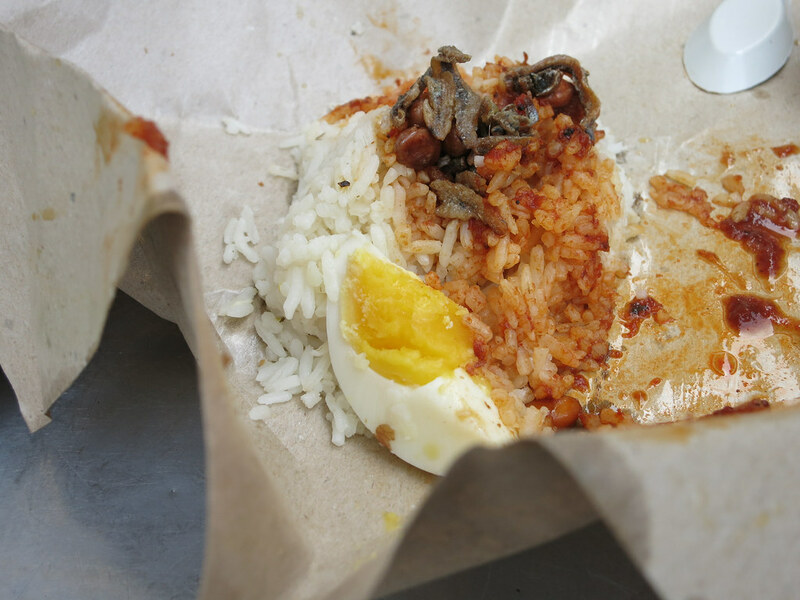 Nasi lemak in brown paper for breakfast.